I live near a deer crossing and they keep getting hit. 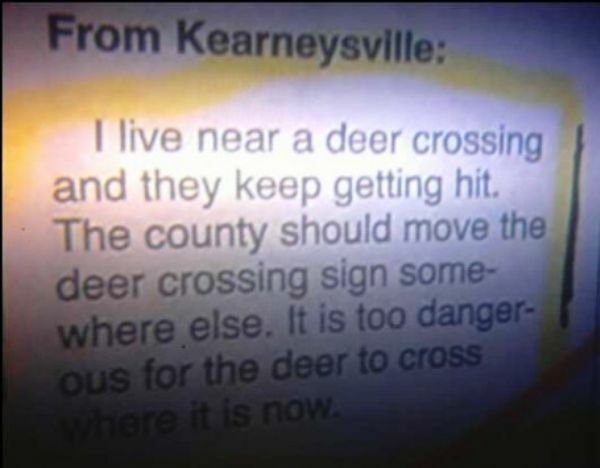 The county should move the deer crossing sign somewhere else. It is too dangerous for the deer to cross where it is now.